This extension is a library of several custom controls targeting work item form. A work item form in VSTS can be extended via extensions. Users can write their own custom controls, groups or pages that would show up in VSTS work item form in web. For reference, visit Extend the work item form. If you are using TFS, you can add these controls to work item form via work item type xml file - Add extensions in work item form via work item type definition xml. 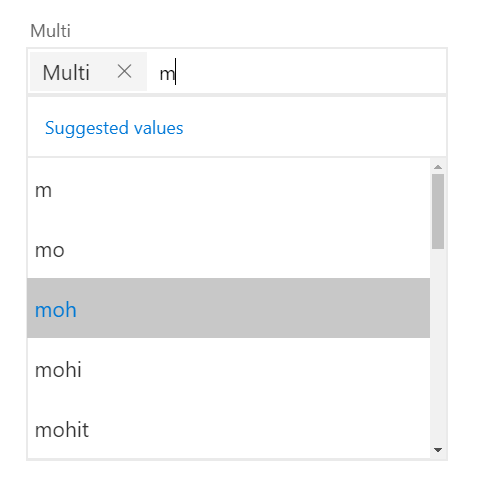 If you are using VSTS, you can add them from process admin page -Add or modify a custom control for a process and WIT. A work item form custom control can take some user inputs to configure the control. I'll describe what inputs are required for eah of the control below. A custom date time control for DateTime fields which also lets users pick time, which is not possible by the default DateTime control on work item form. 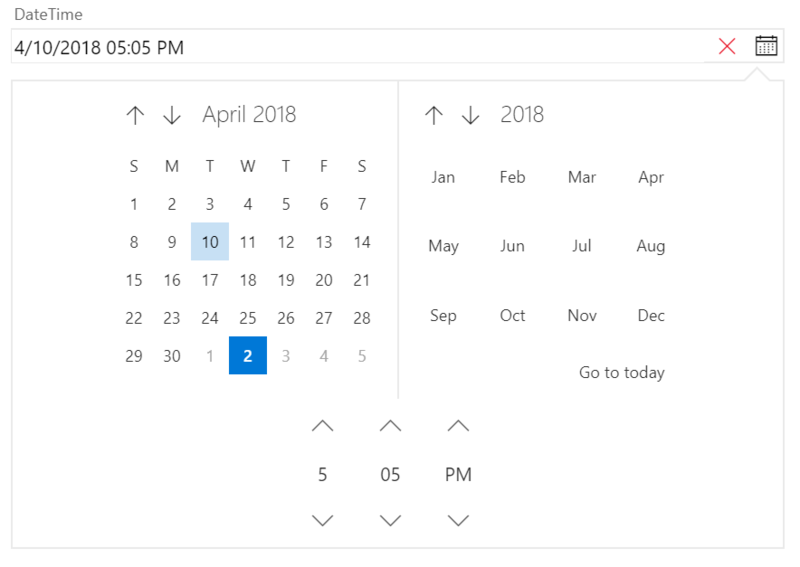 To select a date or time, click the calendar icon on the right. FieldName (required) - A DateTime field associated with this control. The value of the datetime control would be bound to this field's value. 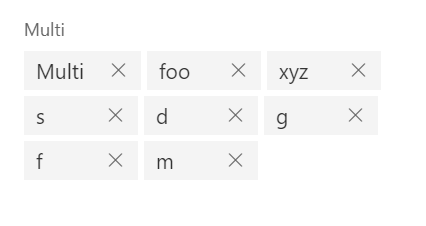 A custom text control for string or multiline string fields which restricts the field value to a certain regex pattern. Note that the restriction would only work in this custom control as the pattern would not apply to the actual work item field. If users enter a wrong pattern in this control, it'll show an error below the control but the work item would still be saveable because work item form extensions cannot block work item save right now. In the example above, there are 2 instances of pattern control - the first one requires the value to be an email. The 2nd one requires it to be a phone number. If the value entered by user doesnt match the pattern, it'll show an error. If the value matches the pattern, then no error would be shown. Note that work item would still be saveable even if the control shows error. FieldName (required) - A String or a Multiline string field associated with this control. The value of the pattern control would be bound to this field's value. ErrorMessage (required) - A custom error message to be shown to user if the value entered in the control doesnt match the pattern. FieldName (required) - A numeric field (Integer or Decimal) associated with this control. The value of the pattern control would be bound to this field's value. MinValue (required) - The min numeric value of the field. MaxValue (required) - The max numeric value of the field. StepSize (required) - The numeric step size for the slider. FieldName (required) - An integer field associated with this control. The value of the pattern control would be bound to this field's value. MinValue (required) - The min integer value of the field. MaxValue (required) - The max integer value of the field. A custom control that lets user pick multiple values for a string (or a multiline string) field using an autocomplete widget. Values (required) - A semicolon separated string of suggested values for the control. Text (required) - The text to show in the control. MaxHeight (required) - Maximum height to which the control should resize.